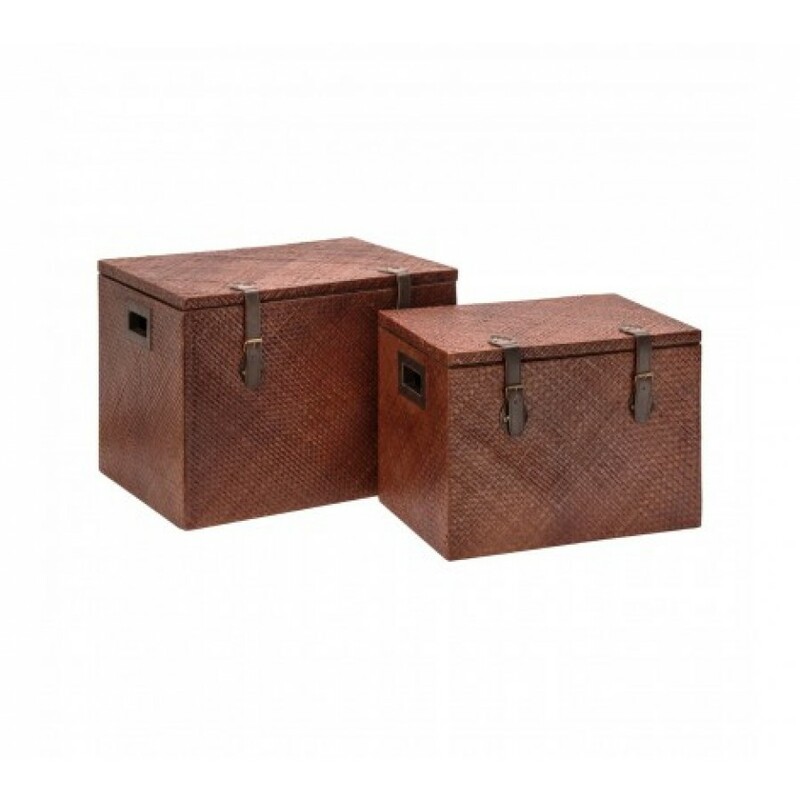 Keeping your home organised and tidy, the natural set of two pandanus storage trunks will make a stylish and practical impact in your home. Each box, 1 x small and 1 x large are made from the woven fibres of the pandanus plants which have been used for centuries in the Pacific and are stilled used today because of its durable nature. Brown leather effect straps allow you to securely fasten the trunks adding to the safekeeping of your contents. Ideal for storing your household belongings, the trunks will keep your items safe from damages and dust while helping to keep your home clutter free. The beautiful and natural brown set of two trunks would complement most decors giving you style and practicality everyday in any room.